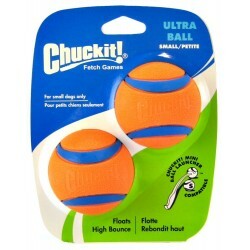 > DOG STORE>Toys for Dogs>Chuckit! Chuckit! There are 29 products. Whistles in Flight. Easy to clean. Natural rubber. For bigger dogs. 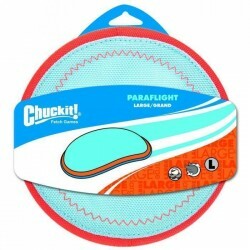 Use with Chuckit! Mega Ball Launcher. 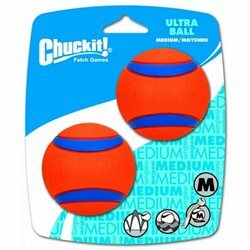 With the Chuckit!, you can throw that ball out of the ballpark over and over again. 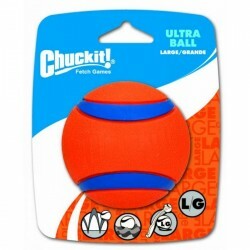 A super exciting addition to the launcher compatible toys from Chuckit! The Whistler provides heightened excitement to games of fetch by whistling in flight. Easy to clean and made from natural rubber. Whistles in Flight. Easy to clean. Natural rubber. For small dogs only. 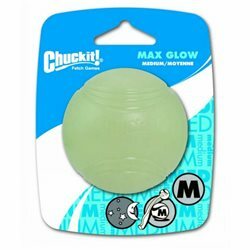 Use with Chuckit! Mini Ball Launcher. Has a stimulating random bounce, is easy to clean and made of natural rubber. In addition to our exsisting range, now availabe in single packs. 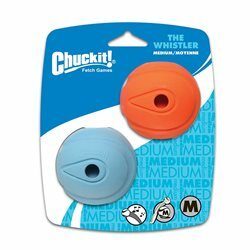 Great for games of fetch and toss on land, or in water, Soft rubber edge gentle for dog's gums and mouth, Durable nylon interior, Features a gradual descent flight pattern and high visibility. Designed for flight, this ultimate water play toy floats high in the water and is soft and resilient. Comes in assorted colours. On land and in the water the Chuckit Zipflight is designed for exceptional visibility and performance, Floats through the air, floats high on the water and soft but rugged. Extend fetch time to early morning & late nights with LIGHTPLAY fetch toys. Charge under bright light 5 to 10 min for 20 to 30 min of high-visibility, lighted play. Recharge in seconds with a bright flashlight. 26" long in assorted Green or Orange. Suitable for Large Balls. Extend fetch time to early morning & late nights with LIGHTPLAY fetch toys. Charge under bright light 5 to 10 min for 20 to 30 min of high-visibility, lighted play. Recharge in seconds with a bright flashlight. 25" long in Assorted Green or Orange. Suitable for Medium Balls. Bright, lasting glow. Charges quickly under any bright light. No batteries needed. Easy to clean. New bumpers add another element of play to the tug, shake and toss arena with a unique tumbling action and buoyancy that makes them fun for land or water based games 21cm long.